Do you suffer from back pain? Other aches and pains? If you do, then you know heat really soothes aching muscles, arthritis, menstrual cramps,etc. 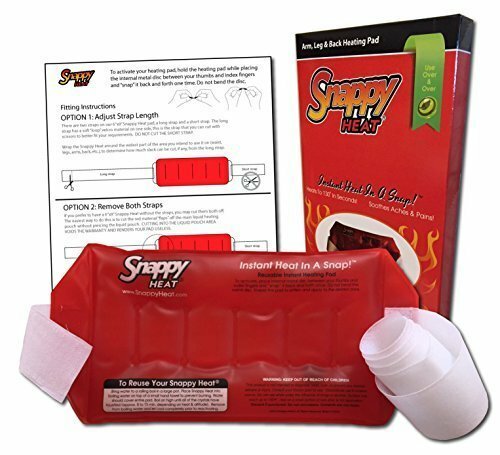 This 6 x 9 Reusable Instant Heating Pack does exactly what the name says, within 3 seconds it heats to 130 degrees with a simple "snap" or click of the internal disc. You can wrap a light cloth around the pack for a longer heating experience. So simple to use, no electrical wires or microwave needed, you can take this pad with you virtually anywhere with you, in your car (even makes a great seat warmer), to the office, the gym. Perfect for bringing with to outdoor activities to keep warm. 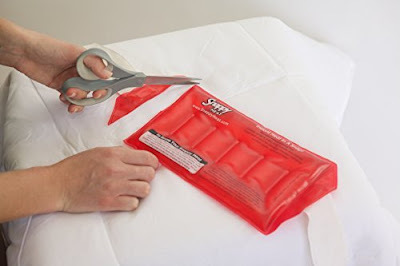 If you are planning a trip on a cruise, these heating packs are the only ones allowed on board. I's so nice to have that kind of heat therapy ready no matter where you are, it's terrible to hurt. Warmth has always made me feel better, 130 degrees feels so good to over worked muscles, and aching back, sore knee, whatever is ailing you . 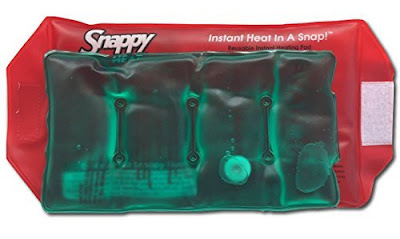 This heating pack has hook and loop strapping so that you can wrap your leg, ankle,waist, knees, etc. The straps are long enough that you can adjust them to what length you need and cut them to the length you want or remove them completely, very versatile. It comes with instructions as to how to adjust the straps to fit your needs. After it cools simply boil in water for 15 minutes , let it cool and it's ready to "snap" again anytime you need it. No need to suffer with aches and pains, cold feet, menstrual cramps achy muscles when instant heat is ready and available like this heating pack offers.